Welcome home! 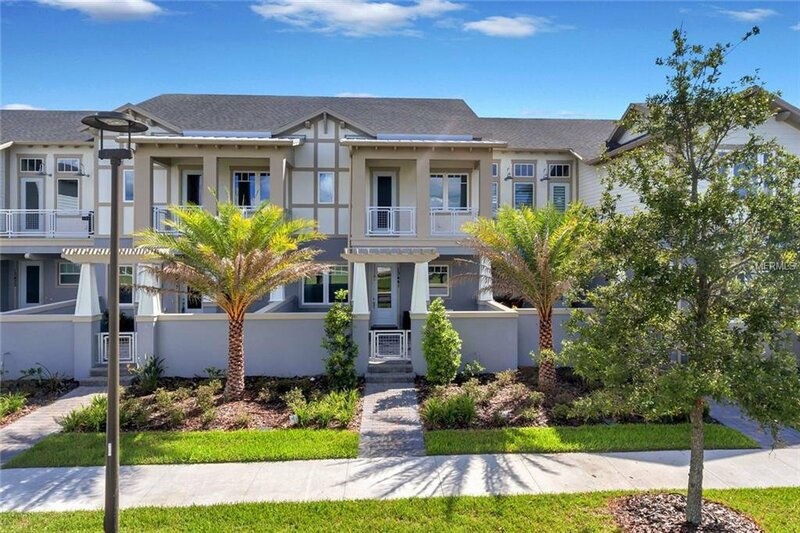 Style and location are just a few of the prime features with this stunning 3 bedroom, 2.5 bathroom townhouse in the desirable Laureate Park community of Lake Nona. Built in 2017, this home is still like brand-new and move-in ready! Step through your very own courtyard and beyond the front door to find a bright, open living space. The kitchen is sure to be a dream for the chef of the house boasting stainless steel appliances, detailed wood cabinets, beautiful stone countertops, an island with breakfast bar, and a spacious dining area. Up the stairs, the large Master Suite includes a fabulous walk-in closet with custom adjustable shelving, a spacious balcony, PLUS a spa-like ensuite with a soaking tub, dual sink vanity, and a separate stall shower. Additional bedrooms are generously sized and ideal for family, guests, craft/hobby room, or nearly anything else to fit your needs. All bedrooms are on the 2nd floor featuring new carpeting along with a bonus space with a built-in desk; perfect for a home office. Other features include crown molding throughout, finished laundry room on 2nd floor, and attached two car garage. Located in the heart of ever-growing Lake Nona, you will find a plethora of shopping and dinning options. Minutes away from Medical City and close proximity to major highways for convenient commutes throughout Central Florida, including some of the most renowned attractions and entertainment destinations. You do NOT want to miss this one! Schedule your showing TODAY! Listing courtesy of KELLER WILLIAMS ADVANTAGE III. Selling Office: CENTRAL FLORIDA PRIME REAL ESTATE LLC.